Lets Taco bout how awesome this recipes is. At least twice a week I like to eat no meat or fish, as it makes me feel cleaner from the inside out, plus for health reasons and for the earth. Sometimes I think what the hell am I going to cook, so at times I think what do I love to eat and how can I recreate it so that it has that meaty sort of taste, and taste phenomenal too! One of my favourite things to eat is Tacos, be it beef, chicken or fish! So I thought how can I make it healthy without meat! Then it came to me use beans, black beans in particular! 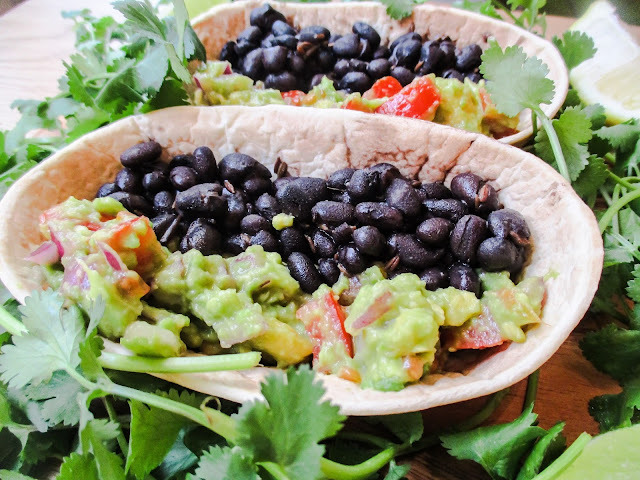 Black beans are brilliant, a great source of fibre, they even help the digestive system and known to help decrease blood pressure as black beans contain low sodium and potassium levels. This recipe also goes down great with Leanora as I also jam pack it with sweetcorn which is her one of her favourite vegetables. This recipe is super easy and very quick to make, and makes around 6. 1. Heat the coconut oil in a pan, add the cumin seeds. Once coconut oil has melted, turn down the heat. 2. Add your drained black beans to the pan, place lid over and leave to warm. 3. Dice into small pieces your tomato & onion, once done cut open and mash your avocado and then mix all three together, with a squeeze of a quarter of lime. 3. Check and stir your beans. 5. 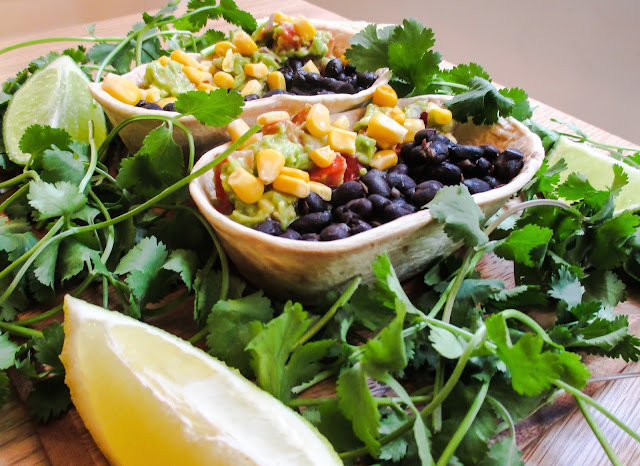 Place in individual bowls, the guacamole, black beans and lay out the taco boats and serve to your family and friends. 6. Bish, bash, bosh! TUCK IN! 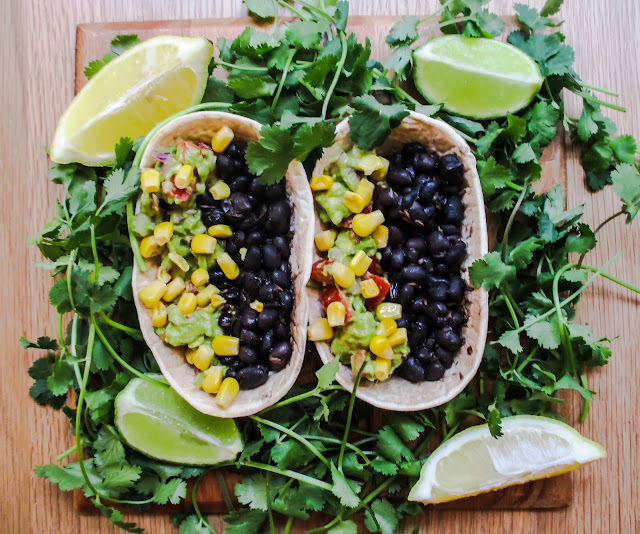 If you like you can always add cheese or lettuce to your tacos, but as Leanora is such a fuss pot, I just normally tend to just cut and grate a small amount for myself. You will also notice that I do not add salt, that's because I never use it, but feel free to add at your discretion along with pepper! This looks so simple & delicious. I am always looking for new vegan recipes. I will have to browse your blog & look at other recipes you've shared. How long have you been vegan? I am celebrating my one year vegan anniversary in May. Yay!